I did actually start my “what’s up with my heart” post over the weekend but I have more heart stuff on Thursday so I figure I should combine it all into one post about the whole experience and heart health, blah, blah, blah or thump, thump. Until then, here’s what I learned last night. 1. Having the heater break (less than a month old) really stinks. I treated a lot of lows last night and this morning. I woke up in a zillion layers of clothing and the whole bottle of Glucolifts in my bed. At 5am I was awake and answering emails. 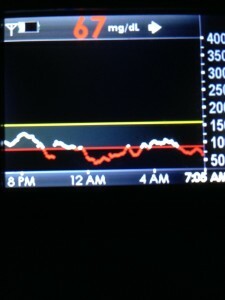 Somewhere around 6ish I remember the Dexcom buzzing and thinking that 88 wasn’t the end of the world and I’d wait until it was time to get up. It buzzed again in the 70s and I remember thinking I must be getting cavities so I only took one more Glucolift instead of 2. A low bg and tired brain are not a good combo. I ate a lot of Glucolifts last night. My head still hurts but my bgs are in target now. 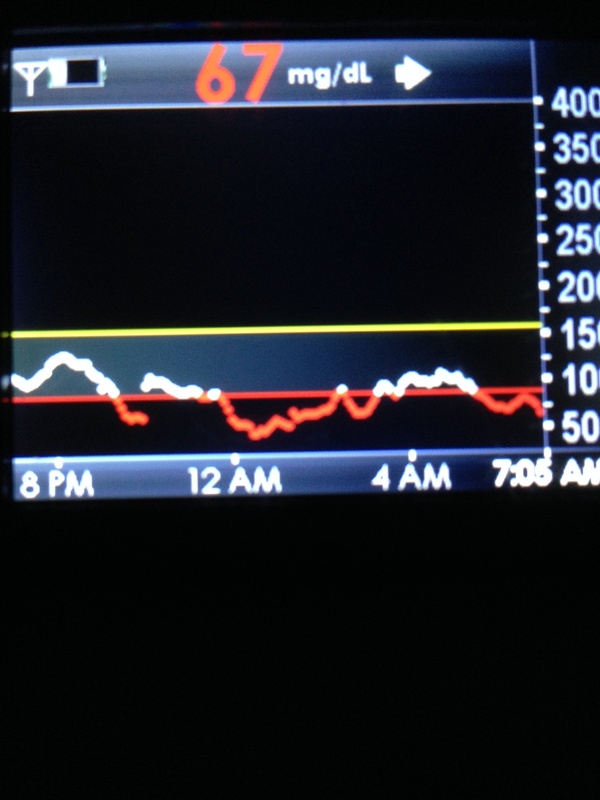 If I workout right after work I MUST remember to reduce bedtime basal. Point made. Live and learn (again, and again, and again). 3. Always ask where the customer service person on the phone is located, before you complain about being cold. No matter how cold it is in NYC, customer service lady in Chicago suburbs beats me. Every. Damn. Time. This entry was posted in Diabetes Notes and tagged basal rates, diabetes, diabetes exercise, health, heart, T1D by surfacefine. Bookmark the permalink. Yikes! Sorry you had such a restless night. Those post-workout lows tend to linger sometimes.